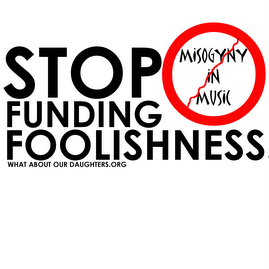 What About Our Daughters? 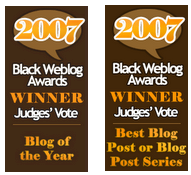 : Post Hearings Reflections - Congress States Definitively "Black Women, Y'all are on Your Own!" Post Hearings Reflections - Congress States Definitively "Black Women, Y'all are on Your Own!" Whew, well this day is over. If you thought the hearings were long tedious and boring, you were wrong. What happened on camera was nothing like the circus off camera. Like caribou locking antlers in a battle of a territory, we watched the melodrama of the Black Elite Establishment play out in front of our eyes. It would make you laugh, make you cry, make you want to see it again and again. Apparently Debra Lee is in some distress that Pastor Coates has decided to throw a party outside of her house on the weekends. Debbie confronted Dr. E. Faye Williams of the National Congress of Black Women during one of our breaks to say that she was disappointed in Dr. Williams for participating in the protest outside Debbie's house. Debbie mentioned her concern for the safety of her child(ren). Apparently during one of the Saturdays, Debbie was actually at home. Debbie felt betrayed because BET had started a dialog and Debra Lee reminded Dr. Williams that she had donated money to Dr. William's organization. Also apparently BET has dispatched spies to the local congregations to report back on what the preachers are saying about BET from the pulpit. Sounds like some J Edgar Hoover type foolishness, but I take it as a sign of weakness. It is always nice to put a human face with the person you call the devil on occasion. She didn't have horns.I am going to have to stop doing that. She's delusional, not demonic. (I THINK). She appeared friendly to everybody that walked up to her. I didn't bother, I just would have gotten her Stepford Wife "We're BALANCED" response. Pastor Coates did have about 10 protesters outside the Rayburn Blgd. My friend says that one man was saying that he wasn't a "pimp." The main lesson is the one I pointed out at the beginning of this blog. The negative depiction of Black women is not a matter for Capitol Hill, it is a matter for the capital markets. Its not abotu free speech, but the free market. Its not a constitutional issue, but a customer service issue. WE DON"T NEED CONGRESS! Yes, the FCC needs to regulate what is within it's jurisdiction and yes, we need cable choice, but we have to at least TRY to remove the financial incentives to package and sell the dehumanization of Black women for profit. Viacom's CEO basically said he didn't give a flip. Representation of Women at the Hearings. All the women were on the final panel for several reasons. First, all the CEOs of the media conglomerates are men. On the second panel, Congressman Rush, said they tried to get a female artist to counteract David Banner's foolishness. He said they could not find one.So the only women to speak all day IN FRONT OF A NEARLY EMPTY ROOM and completely empty podium, the only Congressman that heard was Rush. But they actually had some of the best information for us. EVERYBODY was so nice to me all day long ( Except Dr. Williams, but she has "issues"). I really had a good time. I want to thank SheCodes for coming down. We had our own little section of the hearing room all day. She was working the room. I stuck to my little corner.Lots of folk apparently read this blog.